Scientists Made Pain-Less Insulin Patches Now It’s Time to Say Good Bye To Diabetics Injections Soon. If you are one whom suffering from diabetes, then we have good news for you. In a new research, some scientists have created the special patch which stimulates the own body insulin production and main thing is that it’s completely pain-less.As Per Infromation of Daily Express, this invention delivers a natural substance which extracted from brown algae – completely removing the need for painful injections. Patients can apply the patch once in week and it would automatically stimulates the body to produce the required insulin. According to The International Diabetes Federation (IDF) research around 371 million people in the world who suffer from diabetes so this new invention patch will be very helpful for them. The main motto is that may more people get treated and we can prevent diabetes related conditions such as heart attacks ,blindness and amputations. 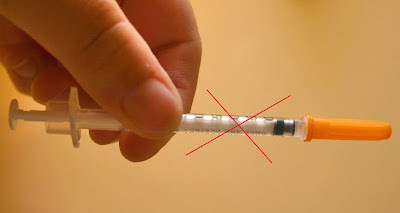 but right now they have to used injections to regulate or balance level of insulin.But according to the research insulin patch therapy is still not succeed well in so many cases. So they are trying that the new patch therapy would offer painless alternative and they also trying that no need to be applied so often to our body like insulin injections. NEXT POST Next post: Sunidhi Chauhan Gave Birth To Son.